"As Lauren Winner says "Maybe it's not right to think of feasting during the somewhat penitential season of Advent, but that is what this book is: a sumptuous feast." 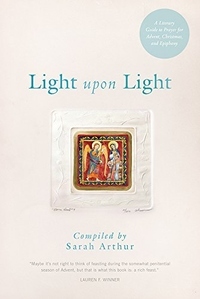 In keeping with At the Still Point: A Literary Guide to Prayer in Ordinary Time ("a thing of beauty" and "a literary treasure trove and devotional feast," two reviewers called it) this collection contains daily and weekly inspirational readings to help the reader prayerfully experience God through the liturgical seasons of winter. Well-loved classics by Andersen, Dickens, and Eliot join contemporary works by Frederick Buechner and Gary Schmidt. Poems by Donne, Herbert, and Rossetti are paired with newer voices: Scott Cairns, Benjamín Alire Sáenz, Susanna Childress, and Amit Majmudar. Readers are invited to experience Advent, Christmas, and Epiphany in its raw strangeness, stripped of sentiment, and to turn toward Emmanuel.